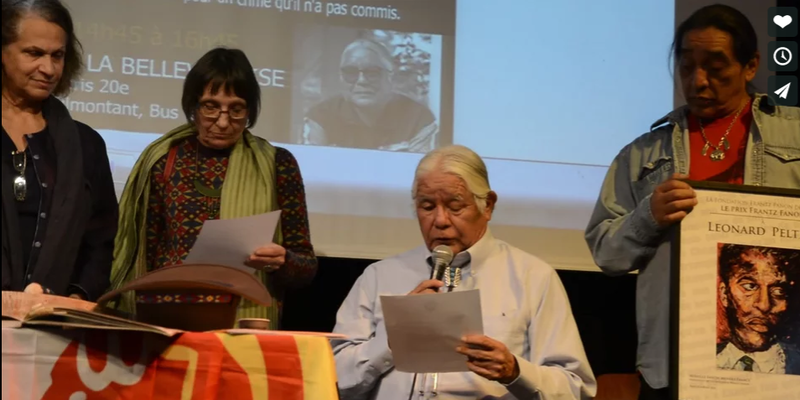 PARIS -- Listen as Lenny Foster, Dine’ (Navajo) reads Leonard Peltier’s statement accepting the Frantz Fanon Award. Peltier expresses his thanks for being able to add his voice to this struggle for human rights. 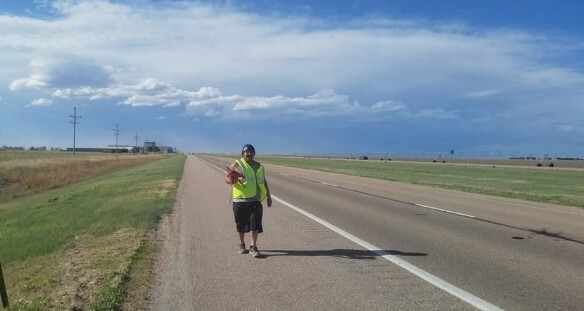 "Someday, I hope to once again be a free man among you all," Peltier told the Frantz Fanon Award committee and the Committee in Solidarity with Indians in the Americas, in his letter of acceptance. Peltier said Frantz Fanon's words were important to Peltier’s generation during the struggle to regain Indian Treaty Rights and Civil Rights. Peltier speaks also of the tragedies of Native American suicides and bordertowns. Peltier expressed his gratitude to Lenny Foster for traveling to Paris and accepting on his behalf.